We're all into Super Bowl movie trailers today in case you didn't see them this weekend! 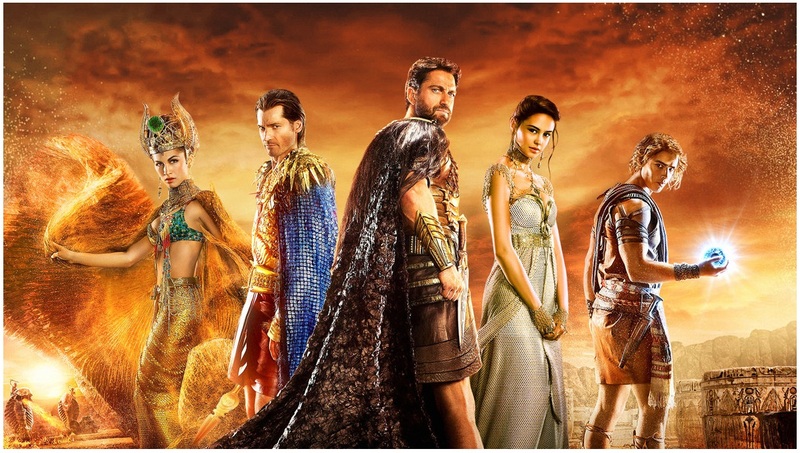 Starting with the mega massive one for GODS OF EGYPT which lasted more than a minute (when a minute of commercials during the event costs up to $10 million)! The first mega blockbuster of the year will open later this month starting Gerard Butler as Ancient Egyptian God Set, Geoffrey Rush as Raa and Nikolaj Coster Waldau as Horus! The trailer shows a movie of mind blowing opulence! We also got to see the first look of Liam Hemsworth in the short trailer for Roland Emmerich's INDEPENDENCE DAY 2: RESURGENCE which shows the population of Earth anxiously awaiting an alien reprisal! After their first visit, the humans have used their technology to enhance our defence, but will it be enough? June 24th is the date of resurgence! 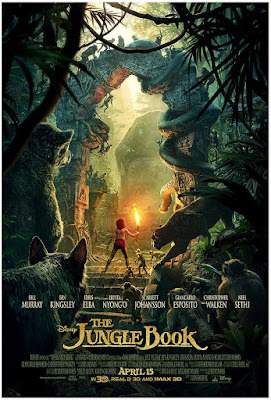 A much longer one came for Disney's new movie mix of live action and CGI in the adventure remake of THE JUNGLE BOOK out in cinemas this April! Mowgli (Neel Sethi) has been raised by wolves and knows little of the civilized world – making him a target for the territorial tiger Shere Khan (Idris Elba). As Mowgli sets off through jungle he crosses paths with a scheming python named Kaa (Scarlett Johansson), the loyal and honourable panther Bagheera (Ben Kingsley) and big friendly bear Baloo (Bill Murray). 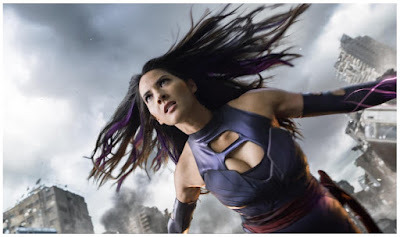 Meanwhile, the Super Bowl short trailer for Bryan Singer's superhero movie X MEN: APOCALYPSE was absolutely ruled by Olivia Munn's character Psylocke and her sabre. Coming out this May the star studded cast also features Michael Fassbender, James McAvoy, Jennifer Lawrence, Nicholas Hoult, Lucas Till! Oooo - some epic trailers here! 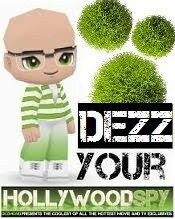 Thanks, Dezzy! Worst halftime show ever! Now, I find Beyonce to be entertaining at times, but that show totally sucked! At least Lady Gaga killed it with our national anthem. Girl rocked it like woah! Frankly, I don't even know why she was back performing again. I hear the stars have to PAY to perform there now, so it wouldn't surprise me that she ponied up the most money for that spot. Of course, the media sing her praises all day long. It's a joke. probably Jay Z paid, he seems like that type of controlling freak. Her career truly did go down the hill after she married him and went into rap and hip hop and that horrid punk behaviour of hers. Jungle Book looks AWESOME and so does X-MEN! Oh, wow. I'm kind of excited for Independence Day. I LURVED the original Goldblum and Pullman are back? everyone is back except that horrid egoistic manipulator Will Smith. Good riddance! He is one of those crazy Scientologists like that creepy Tom Cruise. I suspect that one day, the worm is going to turn for both of those men. Nope, didn't see them. Made sure to miss the Super Bowl as I do every year. I've never watched it myself, nor would I ever. That sport itself is deeply ridiculous and could only happen in USA. I don't mind a little X-men or X-women! Independence Day 2 looks great. The first one was so awesome. can you believe it is exactly 20 years after? "Worship me or be enslaved!" Gerard says in the trailer. It's too late Gerard, I already do and I already am. I'm so glad that wretched Super Bowl is over darling. The food prices at the grocers go through the roof for about two weeks before that thing. Apparently people buy tons and tons of food and sit around for six to eight hours watching pre-game, game and post game stuff. It's like a holiday and is almost as big as Christmas. Sickening really. He is so naughty, I swear he is. Too bad he has such poor taste in women in his private life, I hear he is now dating some silly young socialite, I forgot which one but it is one of them crazies from the Kylie Janner, Craptrashian sort. I thought Independence Day was a remake, so I was relieved to hear it was just a very, very, VERY long-delayed sequel! I missed the Super Bowl--I always do--so thanks for sharing these trailers. I hope to catch some of these. This was the first time Jason saw The Jungle Book trailer. He's pretty excited to see it! Ooh, two apocalypse themed films this year or maybe more. I liked the first Independence Day film with Bill Pullman I remember as president, I can't believe that was shown 20 years ago. Olivia Munn is soo gorgeous! I can't either, we're too damned old! Some amazing trailers and looks like some interesting movies coming our way. 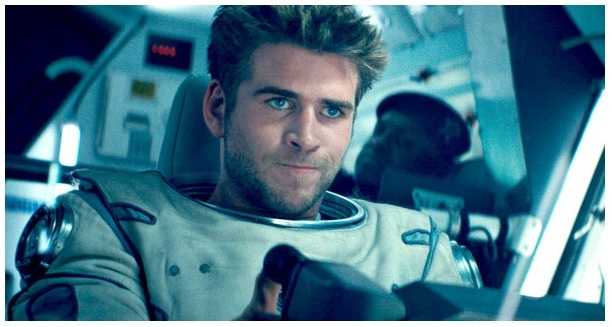 Gerard Butler AND Liam Hemsworth??? I think you melted my phone because this post contains way to much hotness!!!!! I've seen the Jungle Book trailer. It looks a little dark. It'll be interesting to see the movie. I hate most CGI shot. There's something wrong with the color and the lack of weight. But... her cleavage is real. glad you've noticed. Did you know she loves geeks? I watched them all and loved them. If the movies are as good as the trailers, that would be a great thing.